Check out this durable and professional looking Police Patrol boots and an amazing price. 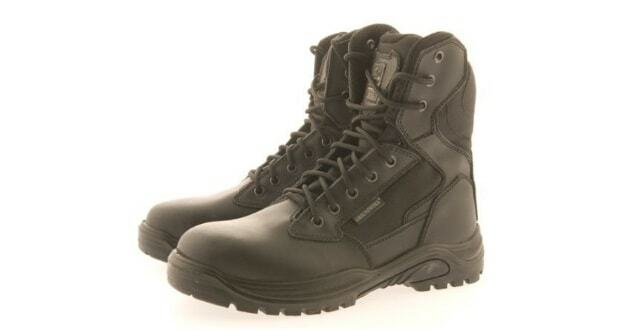 Police Discount Offers bring to you another affordable and professional looking Police Boots. Comfort and protection were essential ideas that inspired the Groundwork design team to have a no limits attitude when creating this safety line. They great boots for doormen, security officers, policemen, fire officers and for all kinds of outdoor activities such as hunting, paintballing, hiking and anyone who needs military quality footwear designed for extreme conditions. Offering excellent comfort and flexibility. These boots are manufactured to EN 345 1 for performance and quality. Genuine leather upper. Slip resistant. Oil resistant sole. Durable material. Padded collar and tongue. Comfortable cushion insole. The price of these Boots start at £29.99 and the most expensive is £32.99 – So check out the site now and see how much you can save and get a great pair of boots too. You don't always needs a wll known brand name on your boots for comfort and protection. If your looking an affordable pair of boots with good protection, then check these boots out. They might be the pair your looking for.